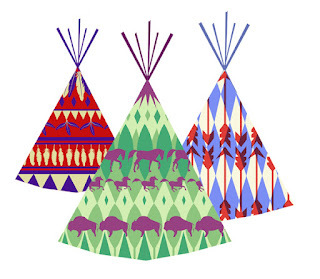 I have been becoming a little obsessed with tipis lately. I close my eyes and it is all I can see. One sweet day maybe I will have one, but until then I will continue to draw them. Here are some from a one of my 'Sedna and the Fulmar' illustrations, watch this space for the finished artwork.